Director and host James Fox assembles the most credible UFO witnesses from around the world to testify on the subject and share their experiences and observations. Air Force generals, astronauts, military and commercial pilots, government and FAA officials from seven countries gather at the National Press Club in Washington D.C. to tell stories that, as former Arizona governor Fife Symington states, 'will challenge your reality.' These accounts reveal a behind-the-scenes U.S. operation whose policy, in the eyes of some observers, seems to involve confiscation of substantiating evidence from close encounters - to the extent that even Presidents have failed to get straight answers. Unless/until aliens make themselves known in a big, obvious Independence Day manner, we’ll wonder if life exists on other planets. 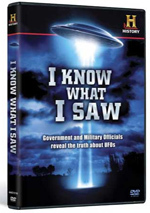 A History Channel documentary entitled I Know What I Saw attempts to shed additional light on the question with a focus on sources more credible than Cletus from West Nowhere, WV. During Saw, we hear from Northwest Airlines Captain (Ret.) Trig Johnston, former Arizona Governor Fife Symington, National Investigation of Aerial Phenomena’s Richard Hall, Mercury 7 astronaut (ret.) Colonel Gordon Cooper, UK Ministry of Defence’s (ret.) Nick Pope, US Air Force (ret.) Sgt. James Penniston, Sgt. Monroe Nevels, General Gordon E. Williams, Colonel Charles Halt, John F. Burroughs and Edward Cabansag, Doctor of Applied Mathematics George Daglish, former UK Chief of Defence Staff (1970-77) Admiral Lord Hill Norton (from 1998), FAA administrator (ret.) John Callahan, Iranian Air Force General (ret.) Parviz Jafari, Belgian Air Force (ret.) Major General Wilfried De Brouwer, Aurigny Airlines Captain Ray Bowyer, Air France Captain (ret.) Jean Charles Duboc, Apollo 14 astronaut Dr. Edgar Mitchell (from 1998), French Air Force (ret.) General Denis Letty, and CNES (France) director Jacques Patenet. We also get notes from a variety of civilians who claim they witnessed UFO incidents. Saw discusses a noted alleged 1997 sighting in Arizona, the history of the UFO phenomenon that started in the 1940s, and other incidents from across the decades. The show combines new interviews with archival clips and video/audio footage of purported UFO sightings. Director James Fox narrates Saw and gives it a more personal dimension than usual for this kind of program. He attempts no form of documentary objectivity and throws himself into the show as an active participant. Fox makes it abundantly clear that he believes in UFOs and feels government cover-ups keep the truth from the public. I don’t expect a documentarian to go into a project like this with no opinions in either direction. However, most filmmakers try harder to hide and/or compensate for their biases, whereas Fox seems to revel in his. This makes Saw a relentlessly one-sided program. Occasionally he nods in the direction of the skeptics, but not with any conviction. The vast majority of the show sticks with the unwavering belief in the existence of UFOs; we get exceptionally little debate. Even when someone tries to question the reality of these sightings, Fox throws the moment away with a laugh. For instance, a newspaper reporter asks Fox how these alien crafts can go and go at intense speeds but leave virtually no physical evidence. Fox just mutters that he can’t explain it; the reporter chuckles and we go back to his agenda. Look, my thoughts don’t swing hard in either direction. On one hand, I firmly believe that life exists on other planets; with 80 jillion other worlds out there, it’s next to impossible that we’re it. On the other hand, this doesn’t mean that Little Green Men are zipping around our skies. While I’m certain that life exists elsewhere in the universe, I’m much less sure that any of those dudes have visited us. We have so little credible evidence that it becomes tough to believe these encounters happen, especially given the boom in video/photographic technology. No one can do anything without some schmoe capturing it on his cell phone, but aircraft carrier-sized UFOs zoom around Texas and no one manages to get an image? Saw fails to do anything to improve on this situation. We see some of the usual questionable videos and photos; there’s nothing here that will do anything to sway a skeptic. The documentary attempts to differentiate itself from other UFO-related pieces via the quality of its witnesses. Rather than simply stick with the usual drunken hunters, it provides notes from more believable sources; this usually means we hear from various military folks. Yes, retired generals and famous astronauts definitely have more credibility than some schmuck at a barbecue. However, I certainly don’t accept their viewpoints without any questions, and the fact we hear from so few of them makes me wonder why more people in similar positions don’t have these kinds of stories. Did various governments lean on them to shut them up? Maybe – or maybe it’s only a miniscule percentage of personnel who’ve witnessed unexplained phenomena. 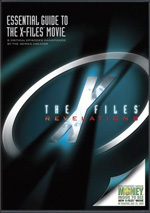 Despite the DVD’s tagline that “government and military officials reveal the truth about UFOs”, it still relies on a lot of civilians. That decision perplexes me. The program’s most novel aspect revolves around its focus on theoretically more credible sources, so why throw in the usual nobodies? And why do so many of these incidents seem to occur in Arizona? Is it possible that all those visitors are the real reason for the state’s controversial new illegal immigrant law? While the severe lack of balance impairs Saw, that’s not the show’s only problem. It’s also a bit of a mess in narrative terms. Fox doesn't follow any logical path as it explores its subject matter. The show simply meanders from one speaker to another and doesn’t build in a substantive way. Though it boasts potentially fascinating subject matter, it makes the material surprisingly dull. 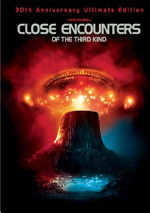 I don’t expect I Know What I Saw to be a totally objective examination of UFOs, I’d sure like something more open-minded. Rather than attempt to thoroughly investigate its subject, the show feels more like its director’s quixotic attempt to prove that he’s right. He fails. I Know What I saw appears in an aspect ratio of 1.78:1 on this single-sided, single-layered DVD; the image has been enhanced for 16X9 televisions. That was unusual for a History Channel program, as those have been either 1.33:1 or unenhanced 1.78:1 in the past. Don’t expect wonders from the visuals, though, as they remained pretty mediocre. Sharpness usually seemed fine. The program consisted of a mix of archival materials and modern “talking head” interviews. These could occasionally look a little rough and blocky, but they generally appeared reasonably accurate and concise. Mild issues connected to jagged edges and shimmering occurred, but no signs of edge enhancement occurred. Source flaws weren’t an issue, though some light digital artifacts gave the show a bit of a grainy look. Colors were satisfactory. The program featured a natural palette, and the hues looked clear and concise. Blacks were fairly dark and tight, and low-light shots seemed acceptably distinctive. While this was never a dynamic transfer, it remained perfectly watchable. I thought the Dolby Stereo 2.0 soundtrack of I Know What I Saw was also acceptable. The soundfield had little going for it. Music showed decent stereo imaging, and a few effects spread out across the front. These were minor, though, and didn’t add much to the experience. That said, a documentary like this didn’t need a dynamic soundscape, so I didn’t mind the bland presentation. Audio quality was adequate. Speech sounded natural and concise, without edginess or other problems. Music seemed full and rich, and effects were decent; they didn’t demand much of the mix, but they appeared accurate enough. This was a perfectly serviceable soundtrack for a documentary. Five Additional Scenes appear. These include “French Air Force General January 2008 Paris, France” (3:50), “Richard Hall National Investigation of Aerial Phenomena Washington, DC” (2:25), “John Callahan Federal Aviation Administration” (1:37), “Witnesses to UFO Event March 13, 1997 Phoenix AZ” (8:24) and “Dr. J. Allen Hynek, US Air Force 1979 Interview” (5:24). Most of these are pretty banal and don’t tell us much that we don’t already get in the main program. “Paris” is the most interesting just because it provides General Letty’s claims that he saw actual alien beings. I’m surprised this didn’t make the final piece, though I suspect the director may’ve thought the claims were a little too “out there” and might’ve undermined the argument. After more than 50 years of public debate, the jury’s still out in regard to the existence of UFOs, and I Know What I Saw does nothing to resolve the issue. 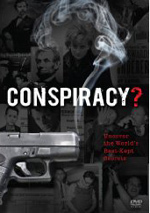 It provides a one-sided look at the topic that sheds no new light and seems unlikely to change any minds. The DVD offers average picture and audio along with some minor supplements. If you want an engaging, compelling look at the possible presence of UFOs, go somewhere else.